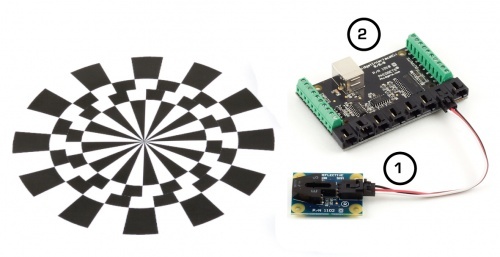 With a range of 5mm, this IR proximity sensor can detect opaque objects and connects to a Voltage Input. This sensor uses infrared technology to detect an object at 5mm by determining the difference between low reflective conditions (i.e. black) and high reflective conditions (i.e. white). 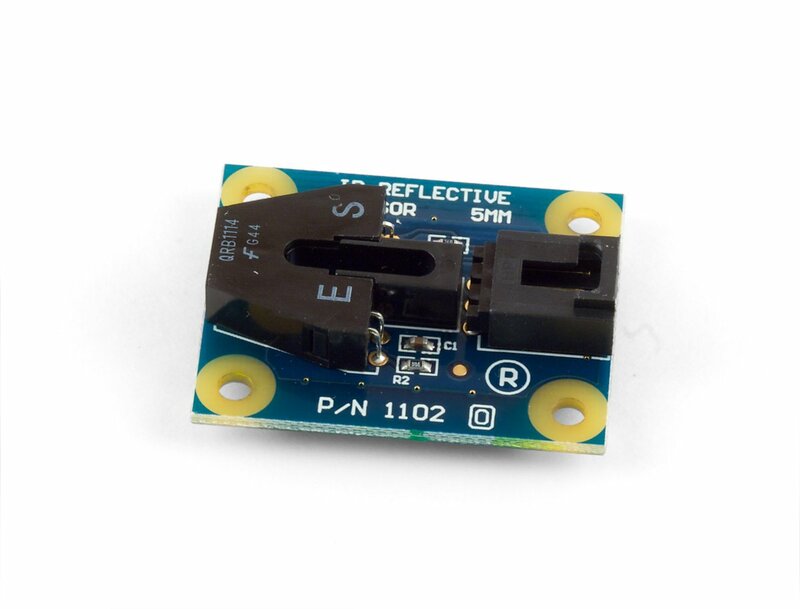 The 1102 sensor consists of an infrared emitting diode and an NPN silicon phototransistor mounted side by side on a converging optical axis in a black plastic housing. The phototransistor responds to radiation from the emitting diode only when a reflective object passes within its field of view. The area of the optimum response approximates a circle 5mm in diameter. Connect the 1102 to the 1018 with the Phidget cable. Now that you have everything together, let's start using the 1102! 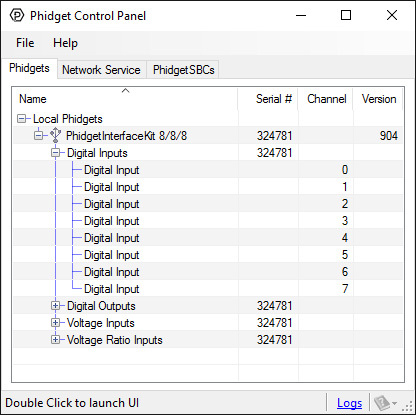 In order to demonstrate the functionality of the 1102, we will connect it to the 1018, and then run an example using the Phidget Control Panel on a Windows machine. Linux users can follow the getting started with Linux guide and continue reading here for more information about the 1102. Select the 1102 from the Sensor Type drop-down menu. The example will now convert the voltage into a 1 (object detected) or 0 (no object detected) automatically. 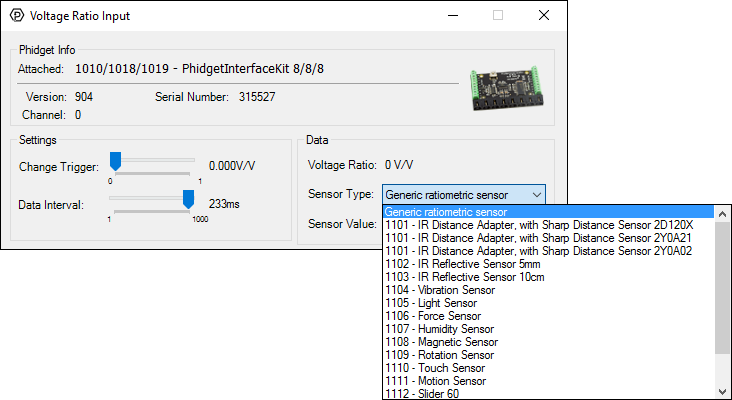 Converting the voltage to a 1 (object detected) or 0 (no object detected) is not specific to this example, it is handled by the Phidget libraries, with functions you have access to when you begin developing! The 1102 can detect an object at 5mm. The 1102 consists of an infrared emitting diode and an NPN silicon phototransistor mounted side by side on a converging optical axis in a black plastic housing. The phototransistor responds to radiation from the emitting diode only when a reflective object passes within its field of view. The area of the optimum response approximates a circle 5mm in diameter. The amount of reflectivity is measured by infrared and some materials that look very reflective to the human eye might not be as reflective in the infrared spectrum. The sensor can only detect objects that are between 3 to 7 mm away; it cannot see any objects outside that range. The 1102 is not a digital sensor. The returned voltage is inversely proportional to the amount of reflectivity of the object (0V being more reflective, and 2V being less reflective), but in practice the variation between sensors is broad enough that the 1102 should not be used to measure the reflectivity of an object - only to detect if the object exists. You may have trouble using this sensor through a pane of glass, since the IR light can easily reflect off of the surface of the glass. When working with sensors that are not digital, it is helpful to filter out noise by implementing a simple hysteresis in your code. 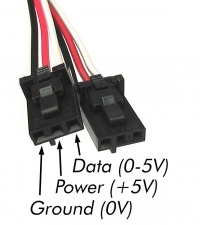 By interpreting any voltage less than 2V as a detection, and not releasing the detection until the voltage rises above some higher threshold, such as 2.5V, multiple triggering can often be avoided. Finally, the 1102 works best in a constrained environment, where objects can be mechanically guaranteed to be within the 3-7mm range, or not present at all.